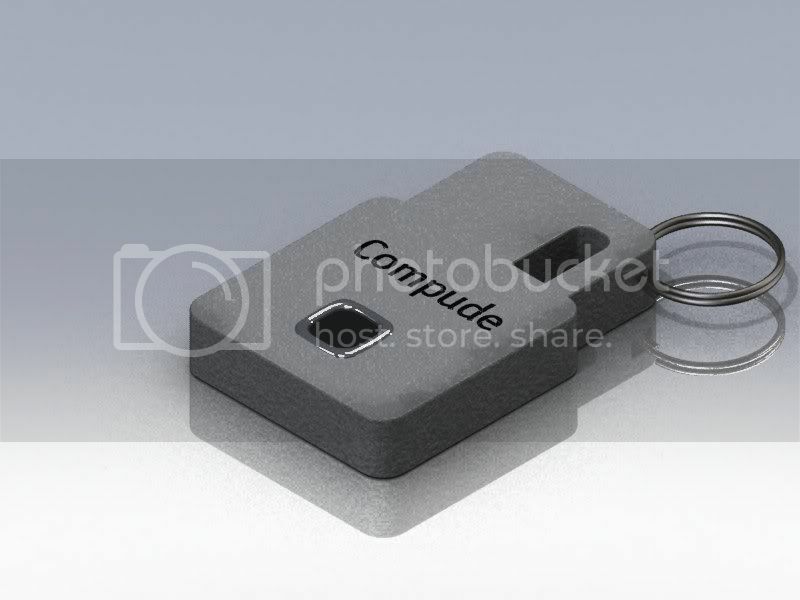 Compude is a device that fits on your keychain and allows you to have your personal or office PC anywhere you go. By plugging your Compude device into ANY smart phone, tablet or computer, it becomes the PC you have at home or the office. It is “your computer” through any device, anytime, anywhere making whatever device it is plugged into look and operate like your computer. All information is stored securely in the cloud for a low monthly fee. THIS IS NOT JUST A USB WITH FILES ON IT, IT IS HIGH SECURITY WITH A FINGERPRINT AUTHENTICATION DEVICE (99% accuracy) THAT IS VIRTUALIZING YOUR COMPUTING ENVIRONMENT. I have been in technology since 1996. I've had my own software/hardware development company for four years. Security was a primary focus for this system. We have a working prototype and have consulted with security experts in the government and NASA for development of this product over the last 2 years. We have 3 patents for this technology around the unique way we approach security and how the device operates. In addition to the proprietary way the device connects and operates with the “host device” it is plugged into, we have created a very unique data locking system that only allows the person who owns the information and applications to access it. Everything is encrypted at the highest level within the environment, even your information on the Compude device….a must should you ever lose it. 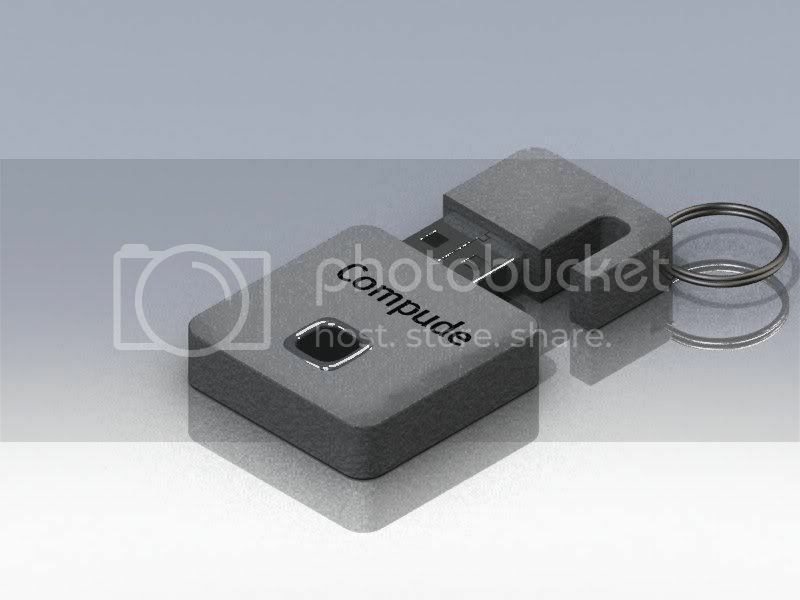 If something happens to your personal computer, no need to worry because you already have your computer on your keychain. 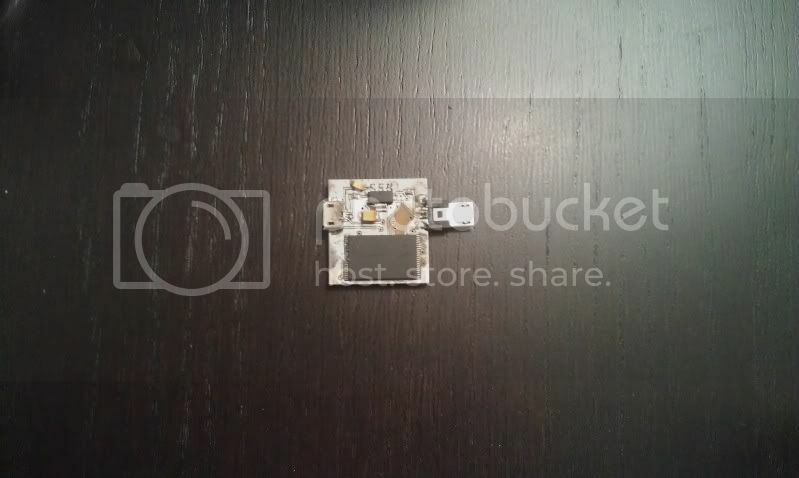 We need the help of the kickstarter community to manufacture a larger quantity of the new Compude device to include the smallest fingerprint authentication device in the world. We expect to deliver these to the kickstarter contributors in 3 months. The new device is pictured in the video. For the people who pre-order the Compude device, you will be at the forefront of technology and a part of an elite club as we begin to change how people look at their devices and the world of computing…giving people more freedom and broadening the access to information and applications. For every friend that you refer that buys a compude device, you will get one month free of the service….just have your friend message me giving you credit. The person that gets the most friends to contribute to the project based on dollars contributed will receive a free Compude device in addition to one month free for each friend referred. Each device purchased will receive 3 months free of the service. We anticipate the service costs to be $3 a month for 3 GB’s of cloud storage, anything above is $1 per month per GB. Please remember that the storage on the actual compude device is free but will be synched with your secure storage account. The Compude device will retail for $299. Take a look at the rewards we are offering and please contribute. I am excited about this project and really do appreciate your help. Thank you. 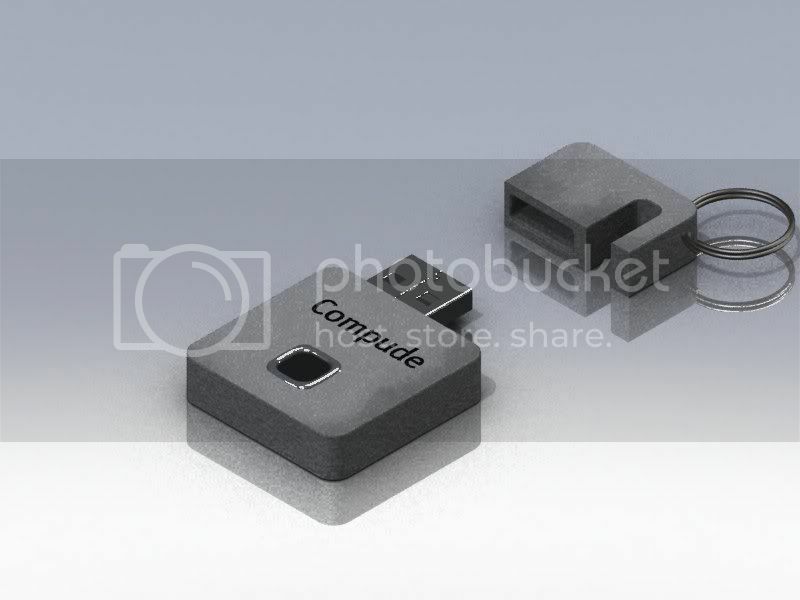 Compude device spec's: Approximately 1" x 1" x 1/4", 400 mhz processor, 256 mb RAM, 32 GB storage, and 256-bit AES encryption for all data on the device. To participate in the project and our eternal gratefulness. Compude T-Shirt (White, short sleeve) "Compude. Your computer on your keychain." on the front. Please add $5 for shipping and handling. Compude embroidered polo shirt. "Compude. Your computer on your keychain." on the front. Please add $5 for shipping and handling. Have a 30 minute phone conversation with Lance Parker, CEO of Compude to discuss the product. The $150 will be applied towards the purchase of the Compude device. You will receive 1 Compude device. Please add $10 for shipping in the U.S. and $20 for shipping outside of the U.S. Each device purchased will receive 3 months free of the service. 2 Compude devices (Couple package). Please add $10 for shipping in the U.S. and $20 for shipping outside of the U.S. Each device purchased will receive 3 months free of the service. 4 Compude devices (Family package). Please add $15 for shipping in the U.S. and $30 for shipping outside of the U.S. Each device purchased will receive 3 months free of the service. 10 Compude devices (Business package). Please add $20 for shipping in the U.S. and $40 for shipping outside of the U.S. Each device purchased will receive 3 months free of the service. 1 membership to the EXCLUSIVE Compude CUSTOMER ADVISORY BOARD (includes 4 compude devices) where you will participate in monthly company calls with the Compude staff and management to advise the company on the product direction and use. You will be a part of our inner circle. 25 devices (Reseller package). Please add $30 for shipping in the U.S. and $60 for shipping outside of the U.S. Each device purchased will receive 3 months free of the service. 50 devices (Distributor package). Please add $100 for shipping in the U.S. and $200 for shipping outside of the U.S. Each device purchased will receive 3 months free of the service. Trip to Los Angeles (coach airfare for 2 from anywhere in the U.S. and 3 night hotel included), Lunch with Lance Parker, CEO of Compude and 10 Compude devices.